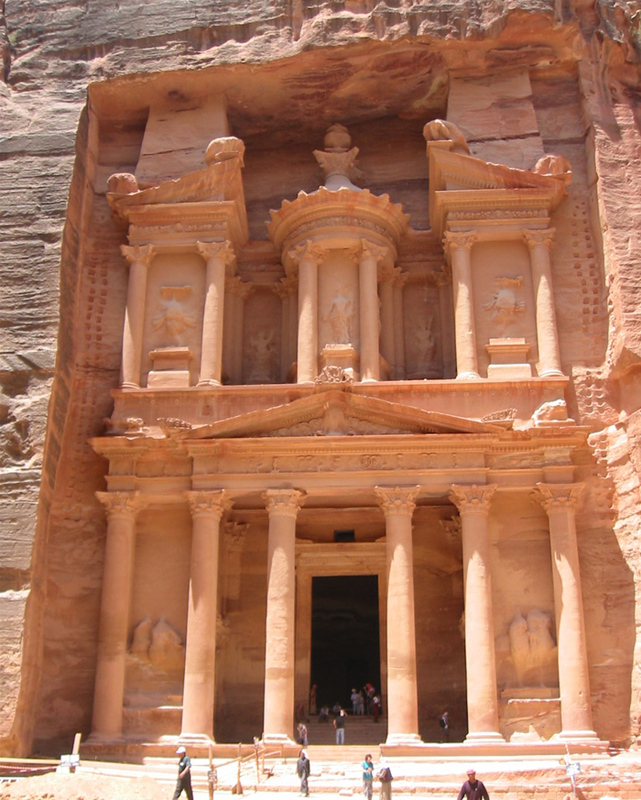 The city of Petra in Jordan is a famous remnant of the Nabateans, a wealthy trading people who controlled oases from the Euphrates to the Red Sea. The buildings carved into beautiful rose-colored rockfaces were famous even before they hosted the crusader knight with the Holy Grail in the third Indiana Jones movie. 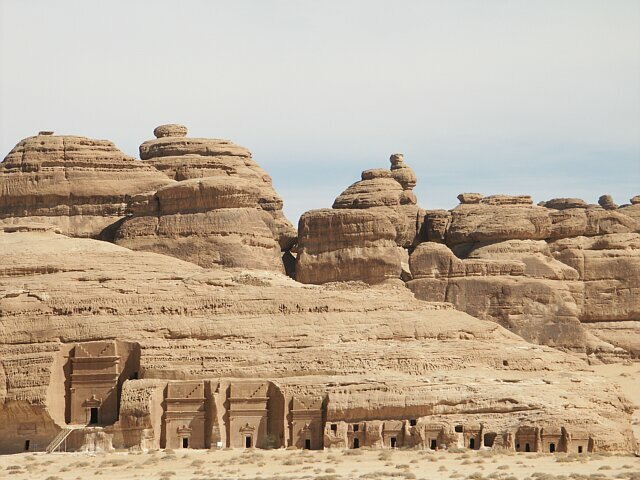 There’s another Nabatean city with amazing rock carving, though, that I found about only today because UNESCO just added it to its World Heritage List. It’s called Al-Hijr, and it’s the first site in Saudi Arabia to make the list. Formerly known as Hegra it is the largest conserved site of the civilization of the Nabataeans south of Petra in Jordan. 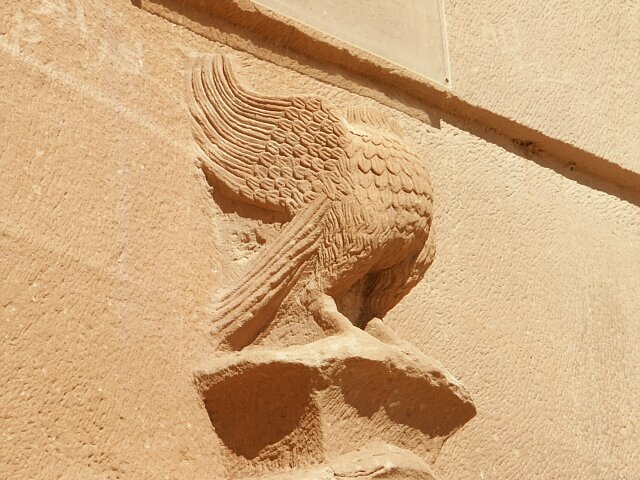 It features well preserved monumental tombs with decorated facades dating from the 1st century BC to the 1st century AD. The site also features some 50 inscriptions of the pre-Nabataean period and some cave drawings. 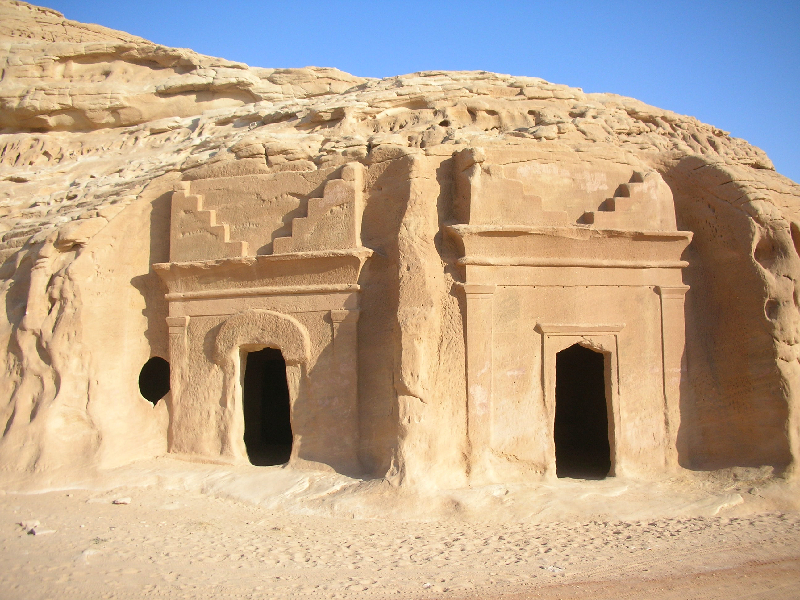 Al-Hijr bears a unique testimony to Nabataean civilization. With its 111 monumental tombs, 94 of which are decorated, and water wells, the site is an outstanding example of the Nabataeans’ architectural accomplishment and hydraulic expertise.